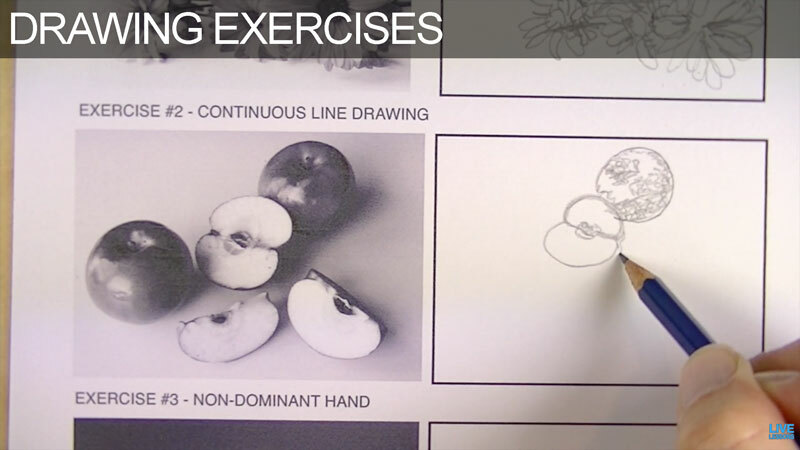 A series of drawing exercises designed to improve drawing skills and observation. Blind contour line drawing, continuous line drawing, non-dominant hand drawing, and drawing subjects in motion are all explored in this challenging, but enlightening hour of instruction. Are you ready for a challenge? Do you have any suggestions to turning the last assignment into a more serious work. I am looking for ways to bring more creativity into my classroom. I’m also an absolute beginner. What I found amusing and interesting with the horse activity was that my first reaction was to start drawing the horse from the head whereas you started from the back!! Wow! This was a fun exercise, mind opening. Last excise was fun. I wonder if you have considered doing a series on cartooning.